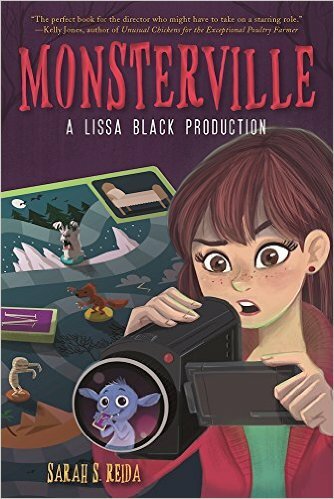 Monsterville Lurches Into Stores Today! After seven years of writing, two agents, four submissions of different books to publishers, and a year and a half from my publisher’s offer to release date (a relatively short time period for traditional publishing), my debut middle grade novel is now in stores and online everywhere! 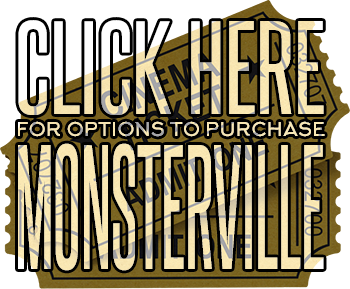 Monsterville is Jumanji meets Goonies, a fast-paced adventure where board games come alive and winning your life depends on applying monster movie rules of survival. 13-year-old film-obsessed Lissa discovers a shape-shifting monster in her woods and decides to film the greatest horror movie of all time. . . until her little sister is kidnapped to the monster homeland of Down Below and she needs her star’s help to rescue her. I am so grateful to Skyhorse Publishing; my agent, Lauren Galit of the LKG Agency; and my editor, Alison Wiess, for everything they have done to make this happen! In the next four weeks – ending on October 15th because my first child is expected on November 15th and I don’t want my super pregnant self to scare the children! – I will be making school appearance in southern Illinois (where the book is based) and hosting events at Atlanta-area libraries. I am so proud to share this journey, as I hope my absolute refusal to give up on something I’ve wanted so much, for so long, inspires other writers who may be struggling with the submission process. This is not an industry for the faint of heart. You have to have faith that if you hang in there and develop your craft, you will be rewarded. 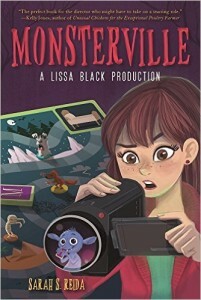 *Monsterville can be purchased on Amazon.com, at BarnesandNoble,com, or on my publisher’s website.